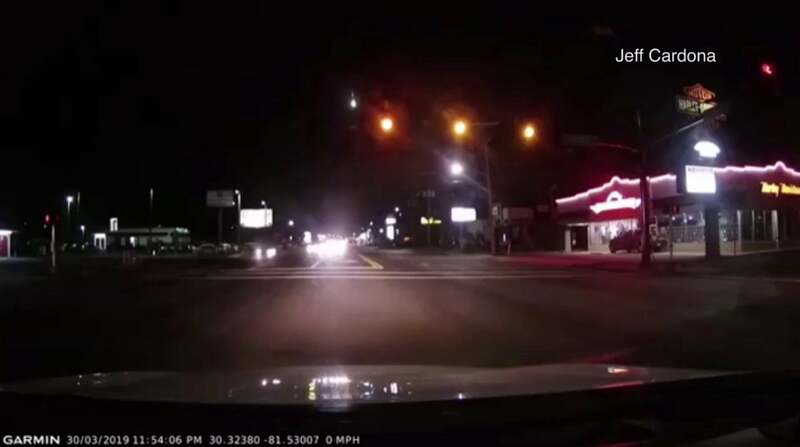 A mysterious fireball believed to be a meteor streaked across the night sky in Florida on Saturday night, leaving a beautiful trail noticed by many who quickly reported it, mostly on Twitter. According to experts, the mysterious fireball which surprised many and perhaps scared some turned out to be just a meteor. The meteor that lit up the sky in Florida was caught on weather radar and reported to fly through the skies at 11:52 p.m. above Taylor County. The news of the meteor was confirmed by the National Weather’s Service’s Tallahassee office via Twitter. The light was also caught by satellites which are usually used to predict thunderstorms and lightning. The NWS posted an accompanying photo to show the meteor caught by its GOES Lighting Mapper. The mysterious fireball was also spotted in other places and by the weather service office in Charleston, S.C., which also shared proof of the light which flashed as the meteor streaked across the night sky. It’s still unknown where the meteor landed or whether it was completely burned up in the atmosphere. According to the NWS, residents of Georgia and South Carolina also saw the flashing light. I seen it in Thomasville, GA.
Meteoroids are space rocks vary widely in size; they can be as minute as dust grains or as large as some smaller asteroids. Most meteoroids are actually just smaller pieces of larger bodies they broke off from. While some are leftovers of comets that pass through the solar system, others belong to asteroids. NASA wrote that some leftovers even come from the moon and other planets and have compositions varying from metallic to a combination of rock and metal. When meteoroids come into contact with Earth’s atmosphere, they become meteors that move through the atmosphere at high speeds and then burn up before hitting the ground. When there are several meteors falling on an hourly rate, the event is called a meteor shower. While some meteor showers occur annually, some rarer showers occur when Earth passes through dusty debris left by passing comets or asteroids.